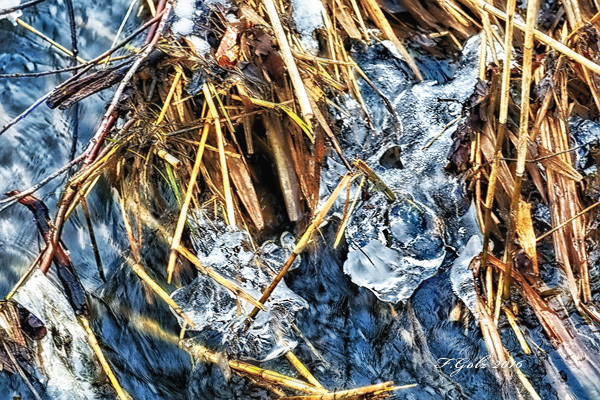 I also found some ice in a local stream. It looked like an ice sculpture made by mother nature. Enjoy and keep on working on your images! The warming trend in northern Germany melted the snow but there was still plenty of ice on this lake. 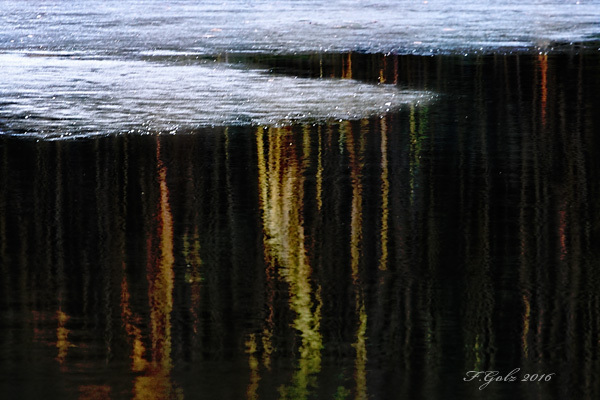 I like the floating ice and the reflection of the surrounding trees in the water. 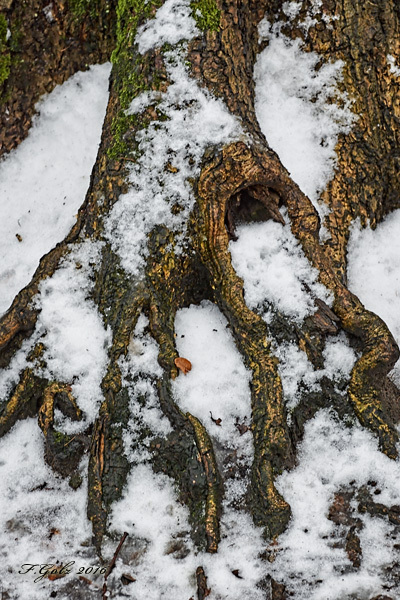 I was walking through mud and thawing snow looking for some interesting winter expressions. I found this tree that caught my eye. Enjoy and keep on working on working on this exercise. During the last days the temperature changed dramatically. 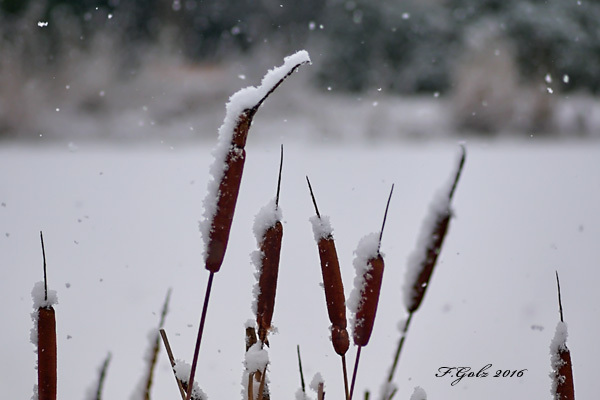 The snow started to thaw which opened the possibility for new images. I decided to photograph the forest. Instead of crisp frosty snow there is some leftover snow and fog. Let us continue to work on “Winter Expressions” this week. 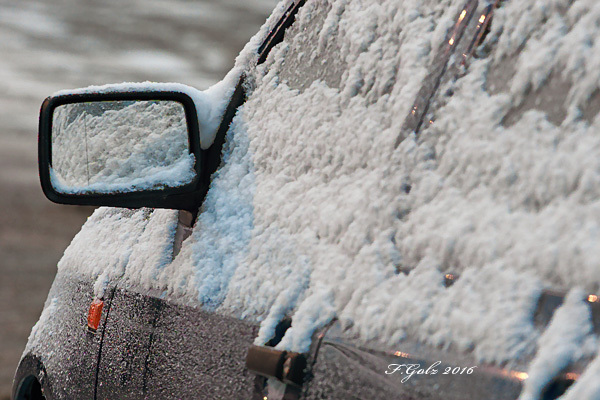 I photographed this car which appears to be covered by frost. Enjoy and keep on photographing! 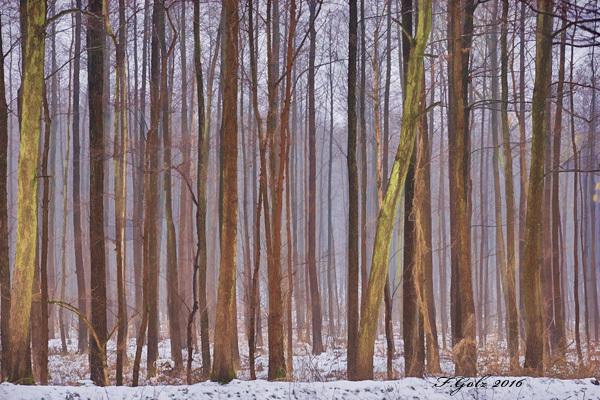 Winter in northern Germany can be very gray and dark days. I photographed this image on the street I was growing up. 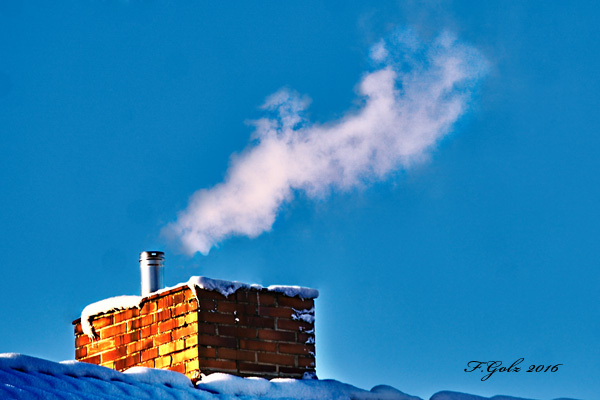 Winter is more than just snow on trees, it is also smoke from chimneys. Enjoy and keep on working on your images! “Dead center is dead!” I have heard this statement over and over again from well known photographers. It is really true? I thought about this “rule” often and decided to challenge it. In this image I purposely photographed the post with the snow on top of it “dead center.” Quite honesly this image looks interesting to me. 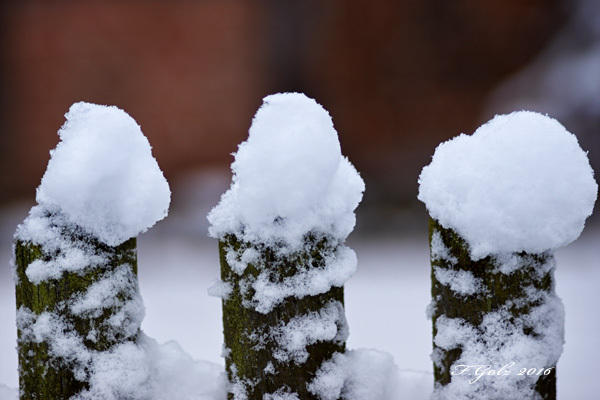 Photographing while it is snowing can be hard on your camera gear. Always protect your camera and lenses. On the other side you are able to get some great images. In order to “freeze” the action pick at least a 1/125 second exposure time. After traveling through Italy for a couple of weeks I am ready to share my exercise with you and I hope you will develop you photographic skills and sharpen your vision in 2016. Currently I am in northern Germany and I started the year by repeating an exercise that I did a year ago in California. For me it is the same exercise just different location and climate zone. So I challenge you to continue this exercise or start it from scratch and create wonderful winter expressions. When I think about winter in California I think about fog, rain, maybe some surface frost. 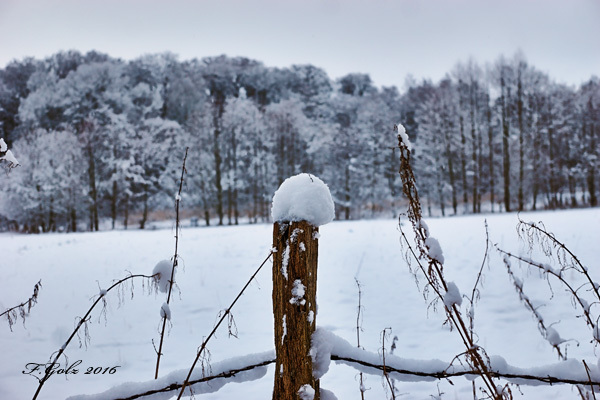 In Germany I think about snow, icy road, freezing rain, overcast. Of course my thinking will have a profound impact on how I see and photograph. try to be open and go beyond your personal impression. There are also sunny days in January. 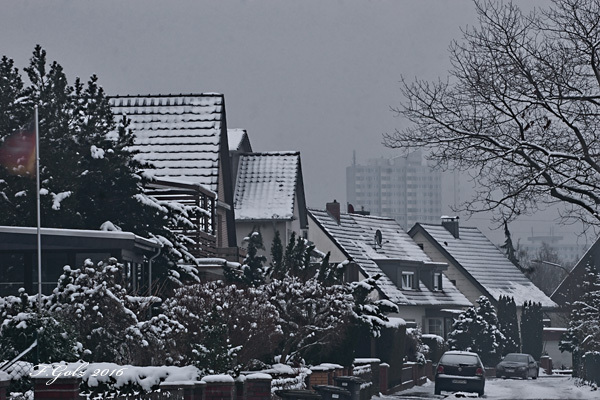 There can be a very mild winter in Germany with no snow. Just think and then photograph and push yourself to create interesting images! As always, enjoy your photography and have fun with your images!